The sequestration (aging) of petroleum hydrocarbons in soil can have a significant effect on the remediation of contaminated sites, but organic chemicals and how they co-exist can result in different sequestration abilities. 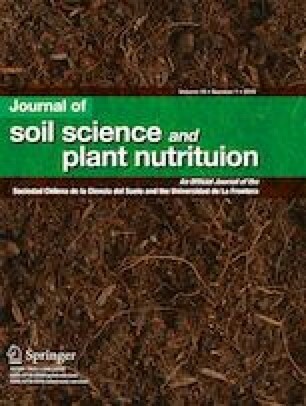 In this study, sorption, methanol extraction, and sequestration of single and co-existing benzene, 1,3,5-trimethylbenzene, and naphthalene in soil were investigated to evaluate their sequestration ability in soil and the influence of co-existing organic chemicals. A higher linear adsorption coefficient based on the linear sorption equation (ke) was observed for naphthalene (11.5–25.0) compared with benzene (3.8–3.9) and 1,3,5-trimethylbenzene (2.8–5.6), followed by a lower linear methanol extraction coefficient based on the methanol extraction equation (km = 0.3) and a higher linear sequestration coefficient based on the linear sequestration equation (ks = 0.7). The co-existence of benzene, 1,3,5-trimethylbenzene, and naphthalene increased the sorption ability of 1,3,5-trimethylbenzene (ke increased from 2.8 in the single system to 5.6 in the mixed system) and naphthalene (ke increased from 11.5 in the single system to 25.0 in the mixed system) due to their larger molecular size and higher molecular polarity; however, this was not observed for benzene (ke ranged from 3.8 to 3.9 in the single and mixed systems). In summary, the co-existence of benzene, 1,3,5-trimethylbenzene, and naphthalene does not affect methanol extraction and sequestration ability. The authors would like to acknowledge Dr. Song Jin from the University of Wyoming, Dr. Paul H. Fallgren from Advanced Environmental Technologies, and Jadee Jin from Colorado State University for reviewing and revising the editing and linguistic quality of the text. The English writing in the revised manuscript was corrected by American Journal Experts. This work was supported by the Science Fund for Creative Research Groups of the National Natural Science Foundation of China (No. 51621092), the National Natural Science Foundation of China (No. 41772245), the Major Project of National Science and Technology (No. 2017ZX07106001), and the State Key Laboratory of Hydraulic Engineering Simulation and Safety of Tianjin University (No. HESS-1410).